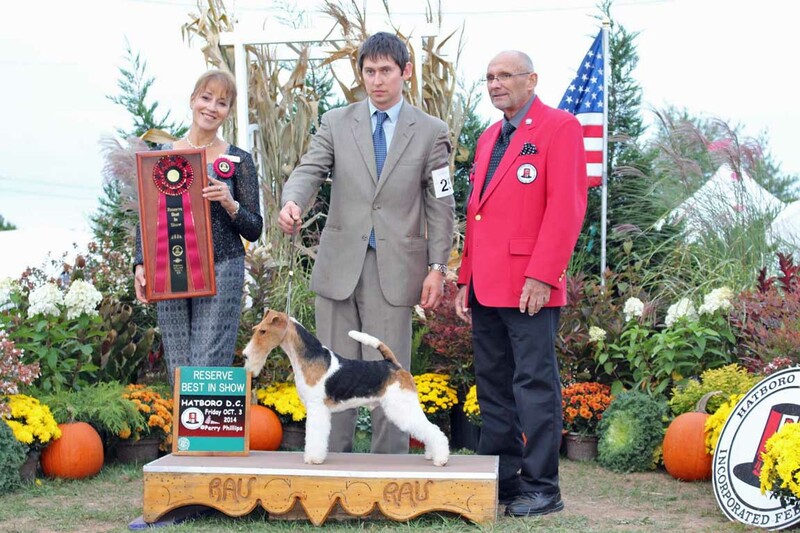 Open Fire van Foliny Home became Best Dog and BOB in junior class, BIG 1 and Best in Show !!! Multi Ch. King Arthur van Foliny Home became BIS of the Wire Fox Association in England ! King is the only dog in the history of this prestigious club who won this title 3 times in a row !!!! 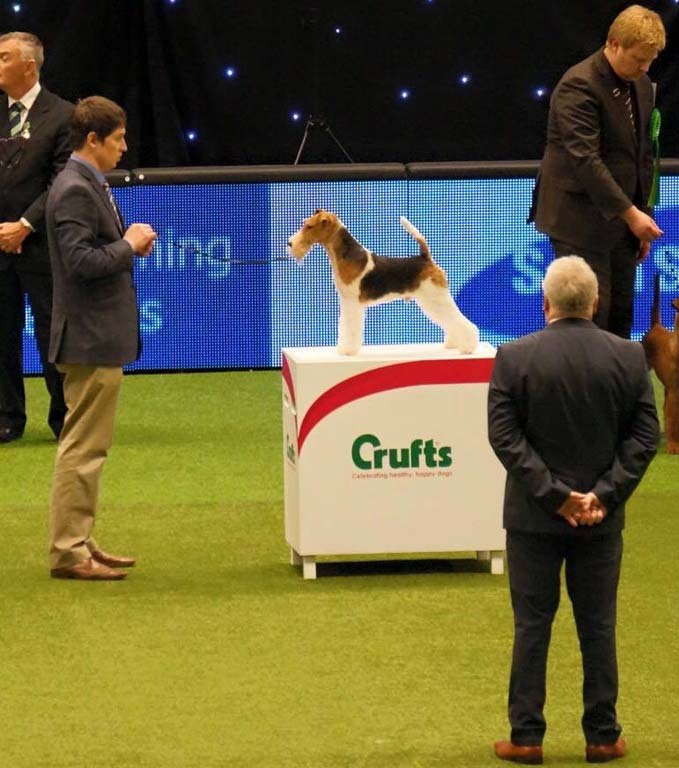 We are extremely proud of our boy ! Multi Ch. 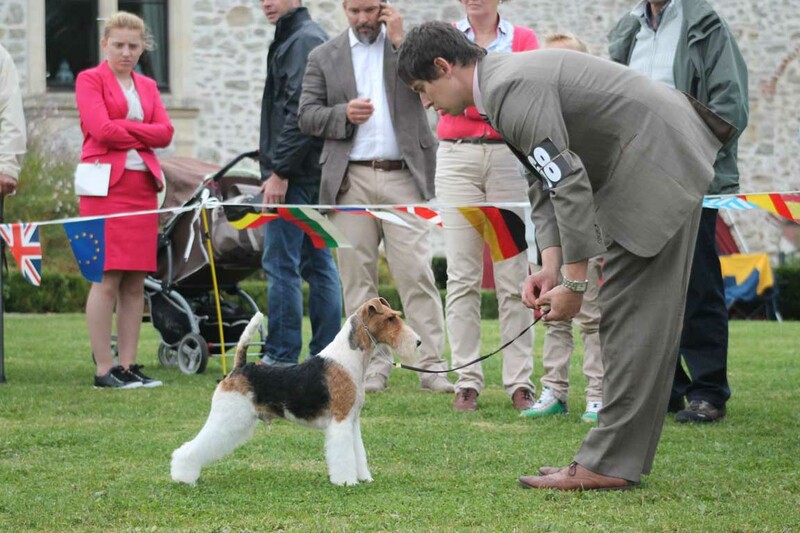 King Arthur van Foliny Home became Best In Show for the second consecutive year in a row ! 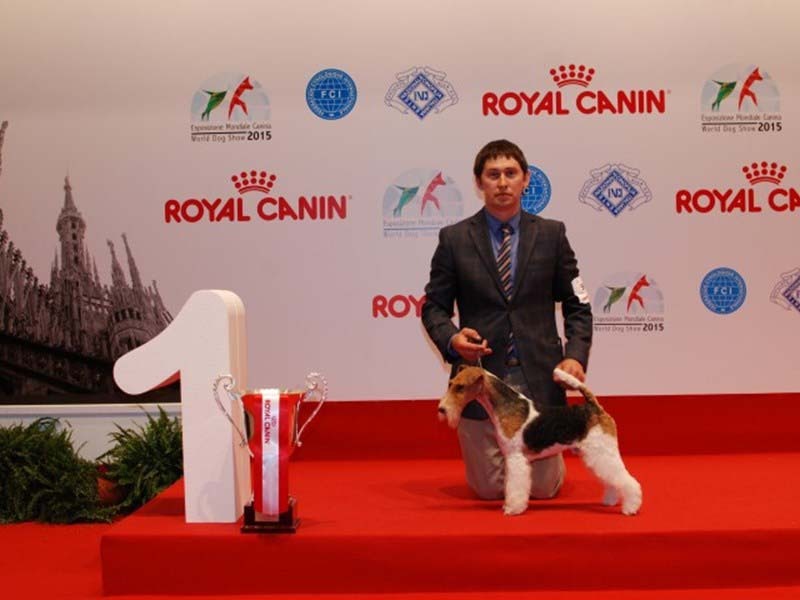 With this win "King" is the only Belgian dog in history to become Best in Show twice in a row ! Needless to say we are extreme proud of our boy ! 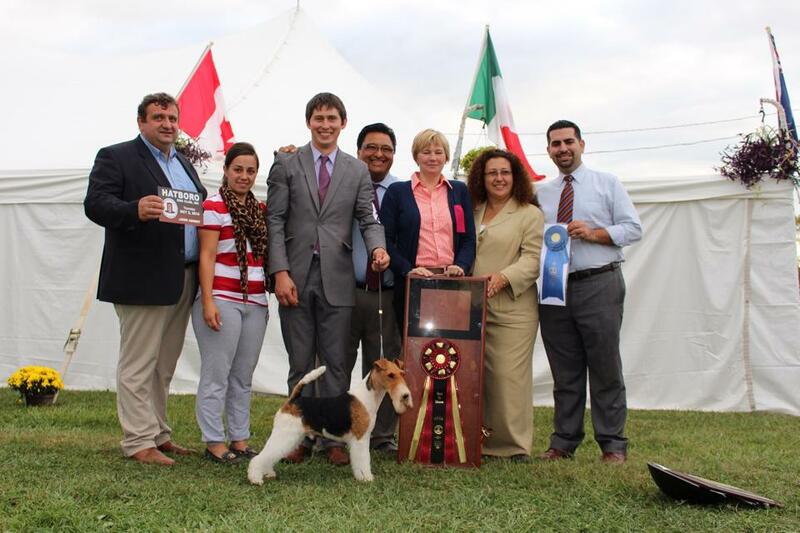 under breed judge Elaine Baldwin and he also was selected in the last 10 in junior group under judge Andrew Brace. Multi Ch. King Arthur van Foliny Home got BIG 2 ! Multi Ch. 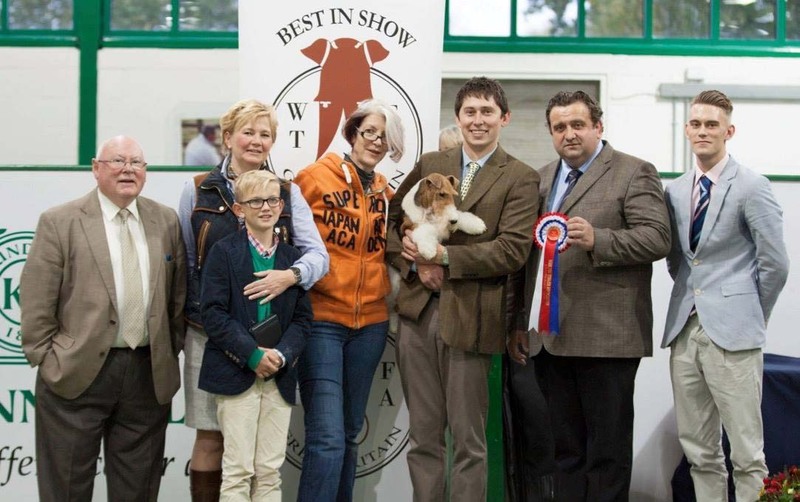 King Arthur van Foliny Home got Best in Show ! Multi Ch. 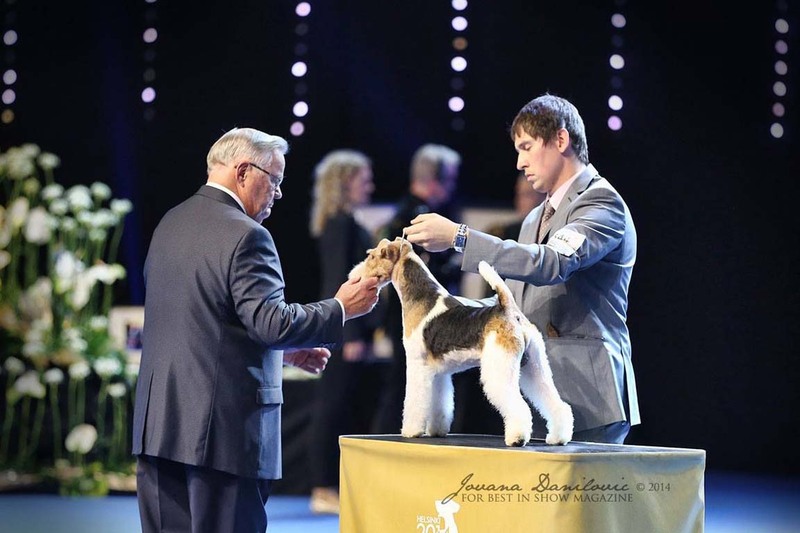 King Arthur van Foliny Home got Reserve Best in Show ! Multi Ch. 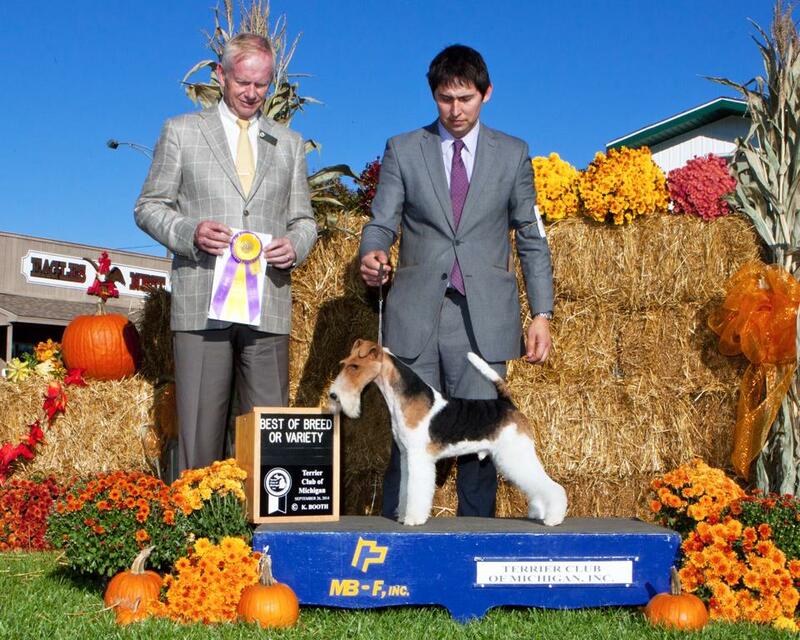 King Arthur van Foliny Home got another Best in Show ! Multi Ch. 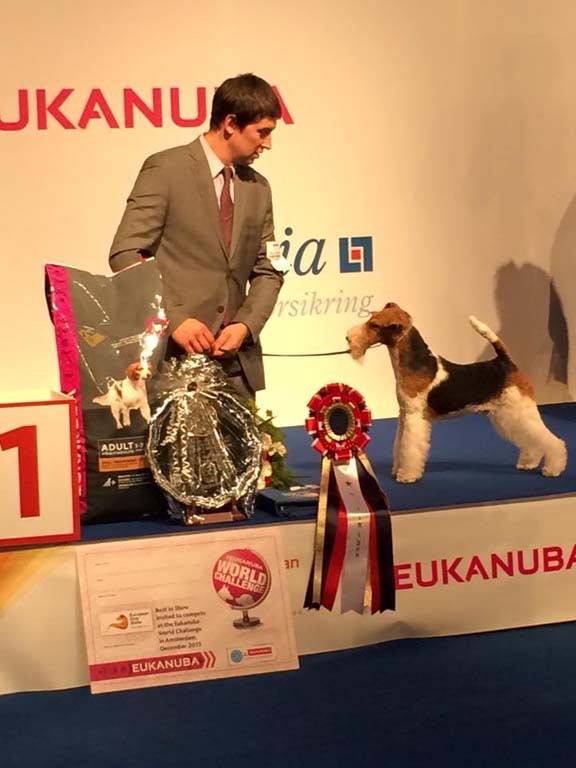 King Arthur van Foliny Home got BOB under breed specialist Mr. Geir Flyckt-Pedersen and afterwards Best in Show ! Multi Ch. 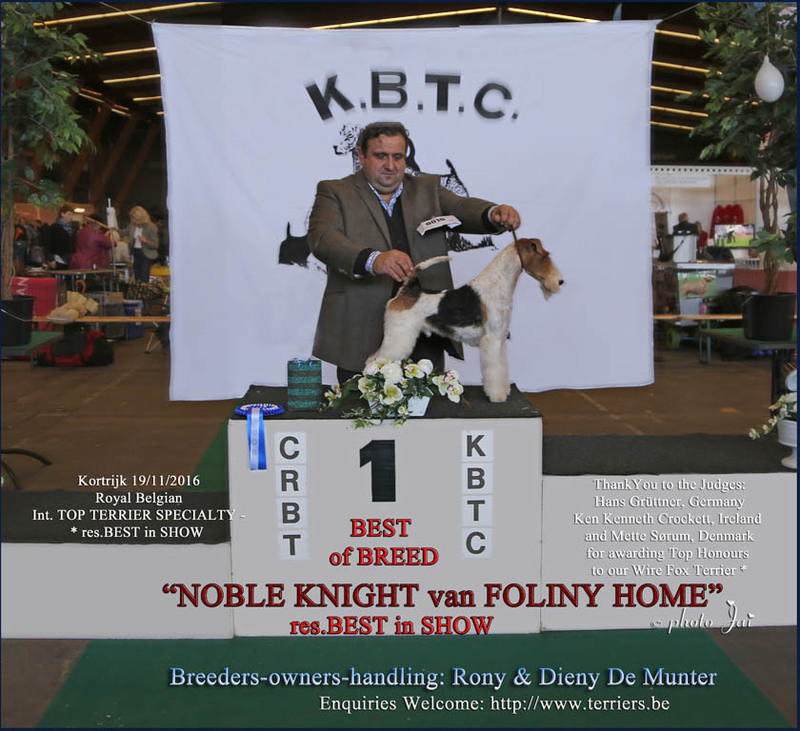 King Arthur van Foliny Home got 1 EX - BOB under breed specialist John Hartigan (IRL). 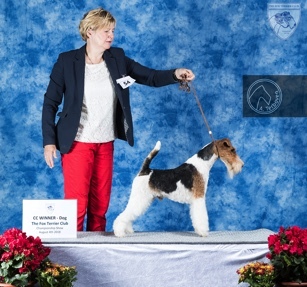 He afterwards became BIG 1 under terrier specialist Sean Delmar (IRL) and BIS 2 under judge Theo Leenen (B). 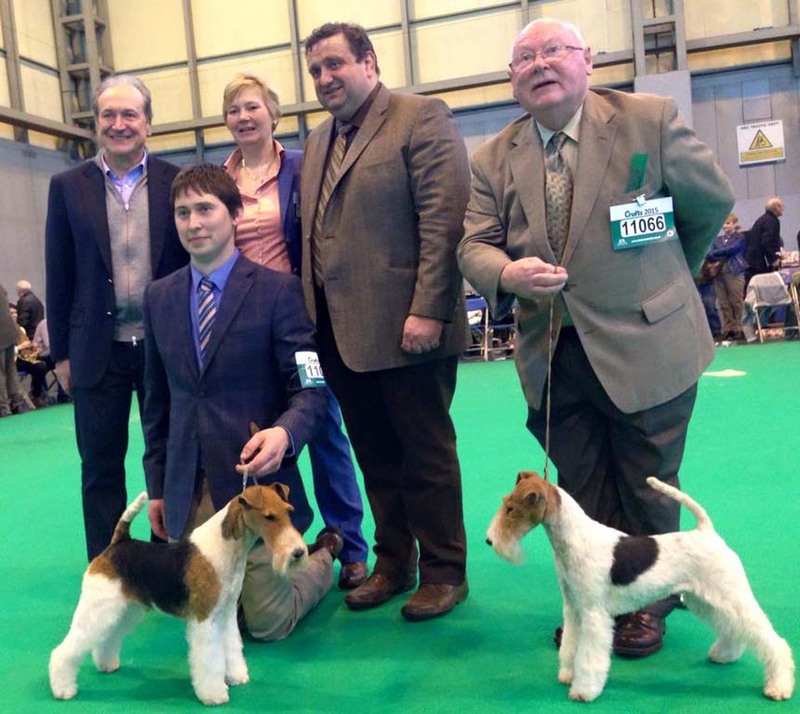 and afterwards BIG 6 under terrier specialist Sean Delmar (IRL). 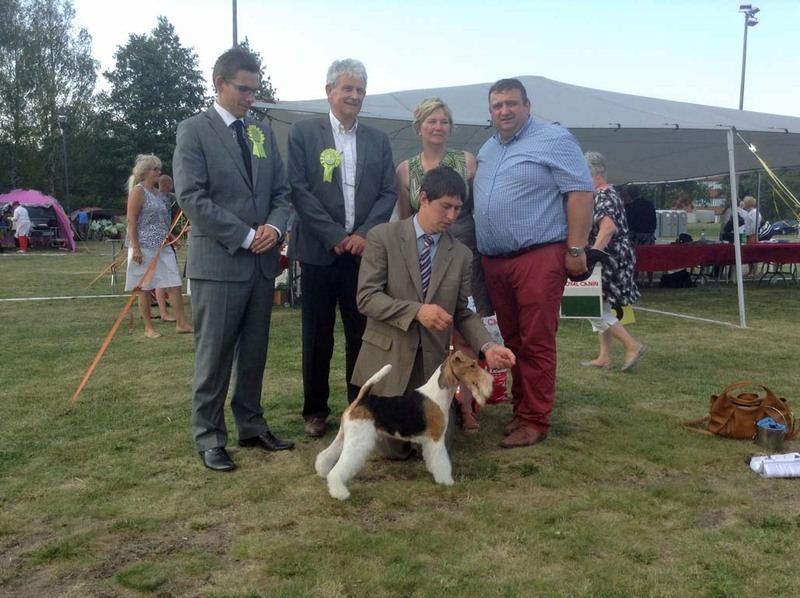 Maggie May van Foliny Home got BOS. Multi Ch. 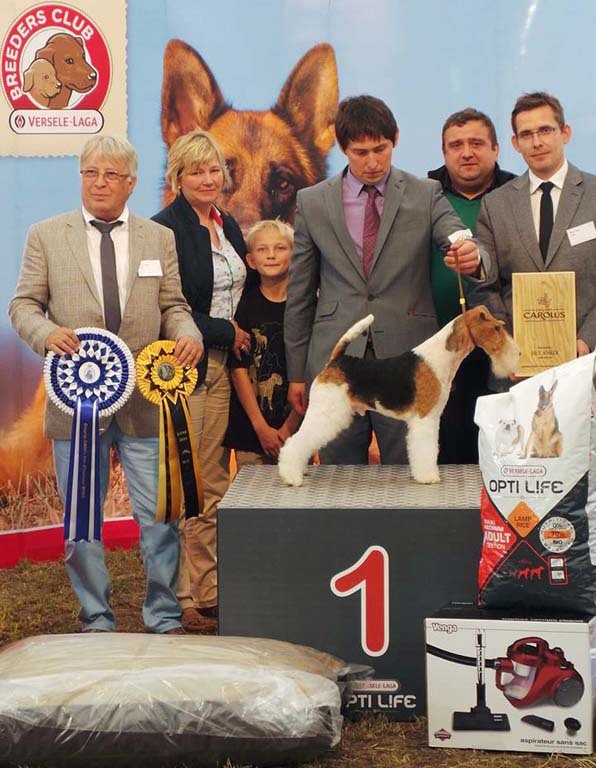 King Arthur van Foliny Home became Best in Show ! out of 110 entries ! Multi Ch. 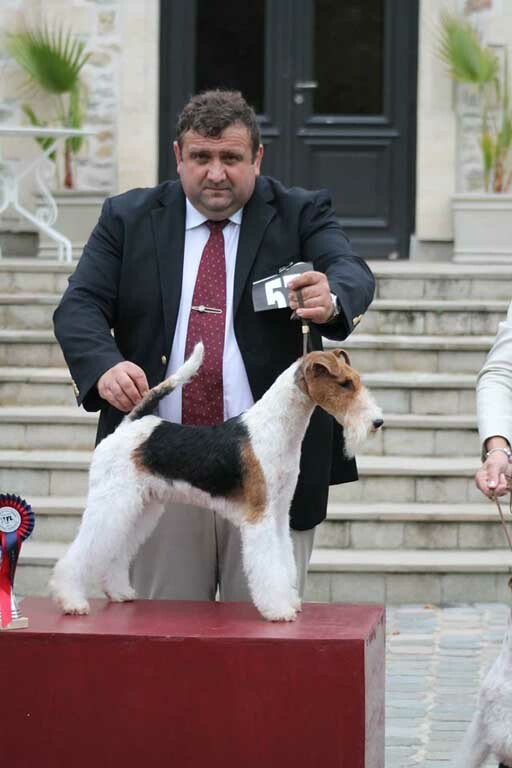 King Arthur van Foliny Home got 1 EX - CAC - CACIB - BOB - BIG 1 - Best In Show ! Multi Ch. 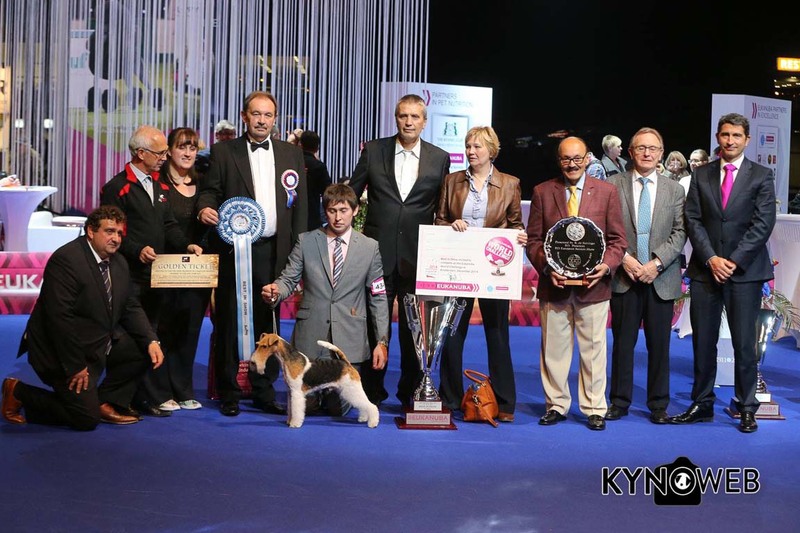 King Arthur van Foliny Home became World Winner - Best in Group and 3rd Best in Show ! out of 1600 entries !